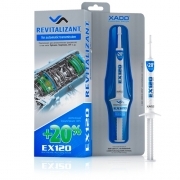 *Compared to XADO gel-revitalizant for diesel engines. 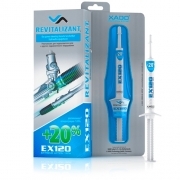 To achieve the best results from using our XADO EX120 Revitalizant we suggest you also treat the vehicles gearbox. 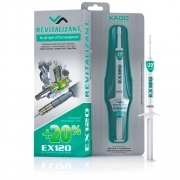 We therefore suggest you apply the following products at the same time: XADO Revitalizant® EX120 for diesel engines and XADO Revitalizant® EX120 for manual gearbox. This treatment will positively affect fuel economy (up to 5-7%), reducing noise and vibration reduction and improving the vehicle's reliability overall. The treatment will be especially effective on 4-wheel drive vehicles when treating engine, gear box, transfer gear and differentials simultaneously.